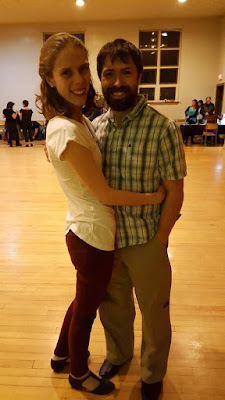 As I mentioned in my goals post, Dan and I attended our very first dance workshop last weekend. I had added this to my goals for 2017 because I knew that if I didn't, I would totally talk myself out of it. I hate doing anything that takes me out of my comfort zone and I usually steer clear of uncomfortable situations. So attending a dance workshop with a bunch of couples who were probably better than me and having to dance with strangers? Super not my thing. But you can't get better unless you stretch yourself, right? Right. So we signed up and went. And we survived. Barely. Back in 2015, I put on my goals list that I wanted to take a class with Dan. Any class really, I wasn't picky. Dan chose dance and that is how we got started dancing West Coast Swing. For those of you not familiar with West Coast Swing, here is a little Youtube video to clear things up. That's basically a clip of super talented people.That is not at all what we look like. See video below to see a little more of where we're at. Please do not feel like you have to watch the whole thing, it's just to give you an idea of what WCS is, since most non-dancing people don't know. Moving on. We attended this workshop with three other couples from our dance class and that totally helped us feel less lonely and overwhelmed. It was nice to have people we knew there and who could encourage us when we ended up crying in the bathroom. True story. Well, true story for me. Dan didn't cry. It was a little intense for our first workshop weekend and I may have gotten super overwhelmed after the first workshop on Saturday and almost quit. I cried in the bathroom and then hid in a backroom for a bit until Dan convinced me we should go back in and see what was going on. I rallied and we joined back in and I'm so glad we did. I am super proud of myself for not giving up and I did learn quite a bit. It was just so much information! Our teachers were awesome though and we really did learn a lot. All in all, I would probably attend another workshop and hopefully it would go better, since I know more of what I'm getting myself into. Plus, I'm now super comfortable dancing with strangers! Ha, just kidding. It still stresses me out. My sister Cora and her husband Jeremie met us for supper and the Saturday night dance, which added a super fun element to the weekend. And helped get us through the stressful afternoon. 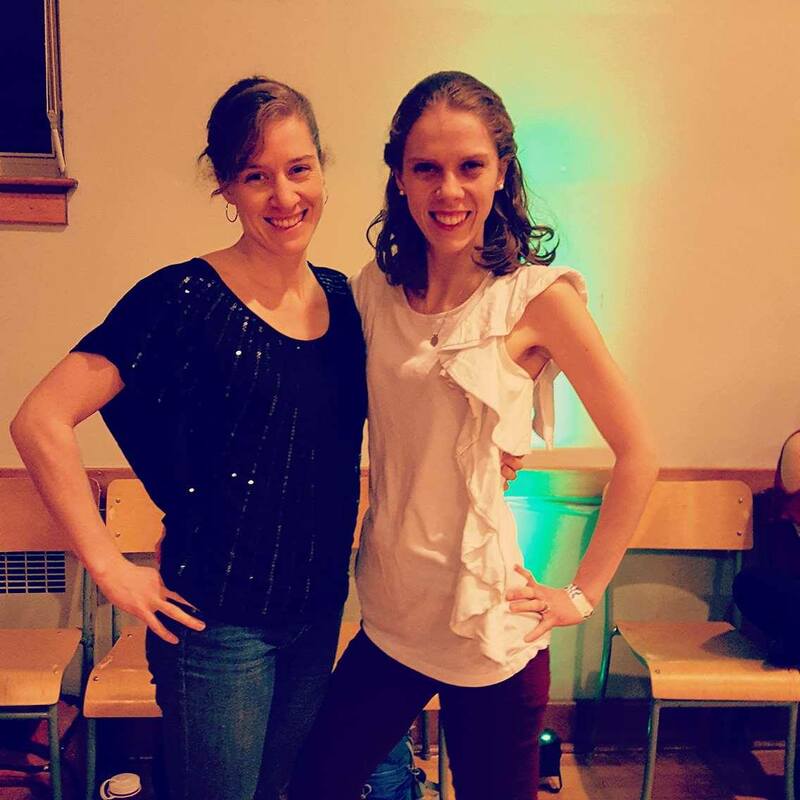 We had a ton of fun at the Saturday night dance (maybe because we knew it was over) and I was feeling more confident. We didn't take any pictures of the weekend, so good thing Cora snapped some and shared them with us! 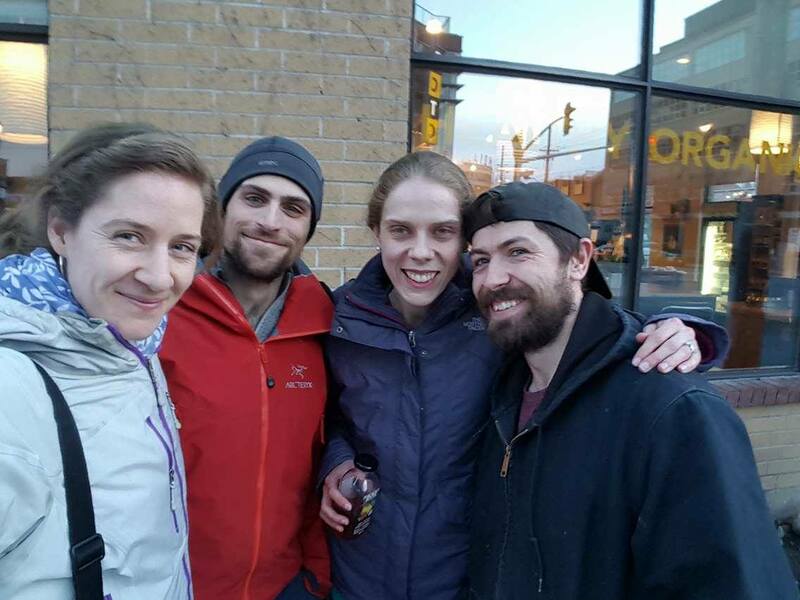 It was a fun weekend away and it was also a super fun group we were part of, we even partied it up after the Friday night dance with drinks and pizza in one of the hotel rooms! Ya that's right, we can still pretend we're young! Although now I have a cold and I'm exhausted. So there you go, Dan and I the budding dancers. Who would have thought that we would be dancing on a regular basis? But seriously, it is so much fun and I tell all our friends that they should take up dancing too. 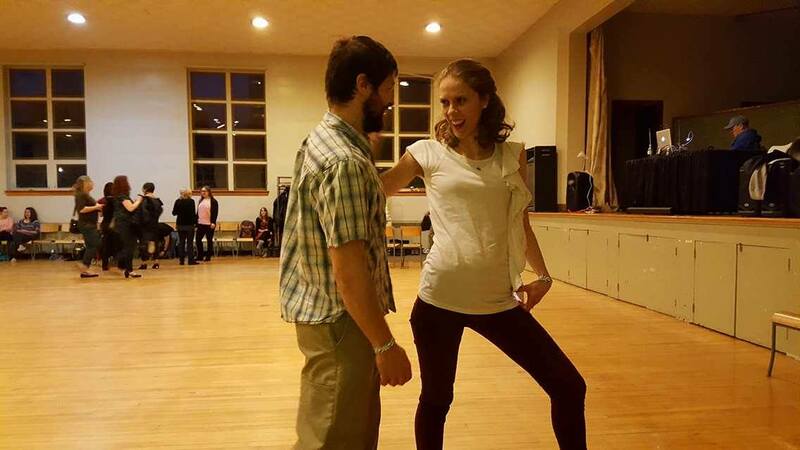 It's a great date night and gets you moving. So I dare you, take a look around your town/city and see if there are any dance classes you could take! love that you two are dancing. Thanks for the encouragement to start and keep going. You have been an inspiration! No one is good their first time. You should totally keep it up, it's super fun! And Toronto is a good place to dance, lots of options! Good for you for stepping out of your comfort zone and then persevering through discouragement! You get thumbs up from me! Thanks! It really was very brave of me. 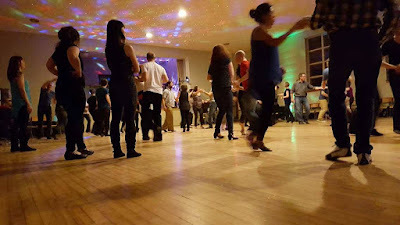 Dancing with other people terrified me! Love it! You are so inspiring. I am not a good dancer and I would hate to dance in a class environment. Good for you guys! Oh and yes, those are dance shoes! They are adorable and I feel super cute in them. Not the comfiest for long term dancing though, so I'm probably going to get another pair for that. These will always be my favourite though, just so classic! You should totally try another lesson and this time, from an actual teacher. Do it!